I have to hand it to Amazon.com, their "You might also enjoy" algorithm really hit the bulls eye when suggesting "The 39 Clues" series based on my son's reading history. In a 21st century "Indiana Jones"-type adventure (it stays good beyond book 3 though), 14 and 11 year old Amy and Dan Cahill run away from their guardian and social services in order to join a treasure hunt across the globe, that starts when their beloved grandmother dies. They know as little about it as the reader, and have to piece together little by little what it is they are looking for and why it is so important that their own family tries to kill them for it. The books manage to tie together an astonishing set of insights. First, they teach and explain about actual historic places and personae and the importance of their achievements. When Amy and Dan need to find another clue in the grave of a Pharaoh, the reader is taking a lecture about the structure of these old graves, the meaning of its decorations, and the way of life in old Egypt. All with the adrenaline that comes with a good spy story, instead with a dusty museum feel. It makes you want to go and book a vacation to Egypt right this minute. Further, the books include numerous riddles. Messages hidden in plains sight on the Declaration of Independence, anagrams that need to be solved to find the next location, math problems hidden in sheet music. In a clever way this teaches the complexity of cryptology. If the reader pays attention, the books also include riddles and clues to be collected and used on the website for additional content and games. And last, the book shows that often problems need to be solved with brains, and sometimes with muscles, charm or trust in someone else. And quite often also a good portion of luck. Incredibly multilayered for a children's book series. Rumor has it, that Steven Spielberg is working on a "39 Clues" movie, so get started on reading, before your kids drag you into those movies and ruin the books for you. Oh, and don't forget to let your kids read them too, after all they were written for young readers. With 19 books published so far, this has the potential to keep them reading the entire winter. In a world where 4-year olds can navigate iPads better than some adults (including purchasing the newest version of angry birds on each device you own) it seems one of the things you have to worry least about is teaching your kids tech savviness. But think again. Swipe, tap, point, click - modern technology is designed to be intuitive, to be used without having to read instructions. We're the monkeys with the typewriters. Very, very, very well-designed typewriters. Using advanced technology does not elevate one to geek status anymore. Designing it does. And for that you need to code. Lucky for you, with the right tools, children as young as 6 can learn the basics. Because the basics of coding are not writing words in an actual programming language. The basics are dissecting a problem into sub-components and developing precise step-by-step instructions (algorithms) to solve them. 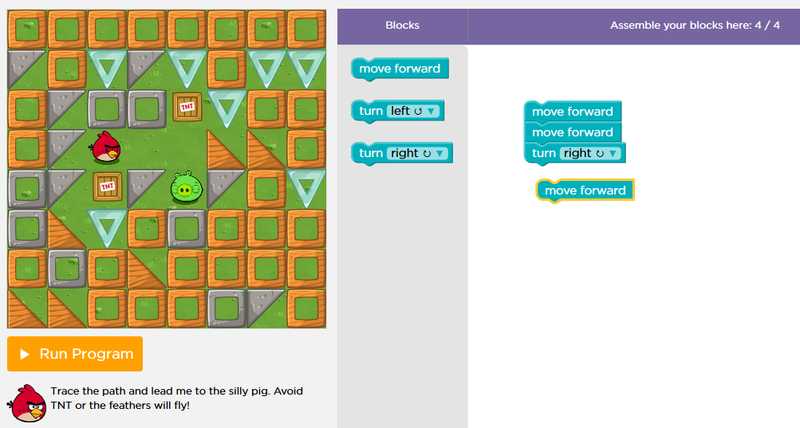 One of the first levels on code.org: instruct the angry bird how to reach the pig. I took my first computer class at age 12, learning the Eastern European equivalent of Basic on an old unit that for reasons unknown had a Russian keyboard. In 11th grade I learned Turbo Pascal, which was already considered outdated before I even finished the course. The most commonly used programming language 11.5 years from now when my oldest graduates from high school has maybe not even been invented yet. But what all of these languages have in common is logical problem solving, building algorithms, and figuring out how things work under the hood. Sounds too complex for pre-teens? Then check out code.org. The last time a catastrophic 1.5 inches of snow brought school life to a complete stand still, Evel Knievel spent 2 snow days programming angry birds and zombies. A clever combination of instructional videos and programming challenges with increasing level of difficulty, it introduces the main building blocks of computer science: actions, functions, loops, conditions, variables - as visual building blocks, not as programming language. What made it so easy to use that iPad, now makes it just as easy to learn computer science. The premise of code.org is that everybody can learn how to code. In fact, everybody should learn at least one hour of code. Because those coding skills are needed for much more than just computer programming. Making the perfect souffle and becoming the best designated hitter in the league have in common that you need to decipher the process of cooking or hitting (or waiting out a ball), and you need to build rules of how to react under all possible conditions. You need to build algorithms for your life - you need to code. 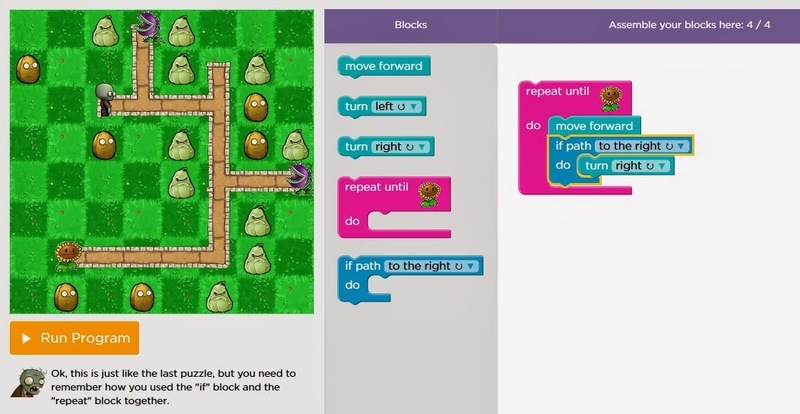 So the next rainy weekend, create an account on code.org, and let your kids learn an hour of coding. I bet you'll be amazed how far they will get. My 7-year old loves mysteries, riddles and clue hunts, so the Wii version of "MySims Agents" looked like a good option to avoid the being-bored syndrome during snow days. According to him, the game gets 6 stars out of 5. If your child can read, this is a great non-violent game to make them think a little. Officially a one-player game, it plays with the nun-chuck plugged into the remote on the Wii, which allows two kids to share. While one navigates the agent on screen with the nun-chuck, the other presses the selection buttons on the remote. 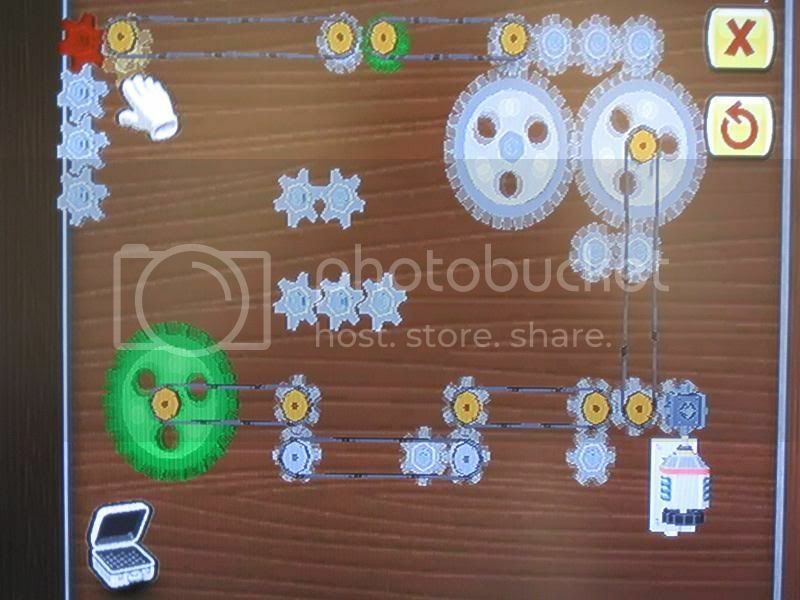 The objective of the game is to solve 18 cases of increasing complexity. Players have to explore larger and larger locations to collect forensic evidence, assemble clues and decide which person to interrogate next. A notebook works as an unofficial help function suggesting the next task that is required to move on in the case. That way parents can catch up on the case and provide suggestions, without knowing all the details of the case. But in case you really get stuck, someone has already compiled a complete walk-through, including hints and suggested strategies. The game requires logical thinking, some planning, and keeping track of clues, leads and dead ends. 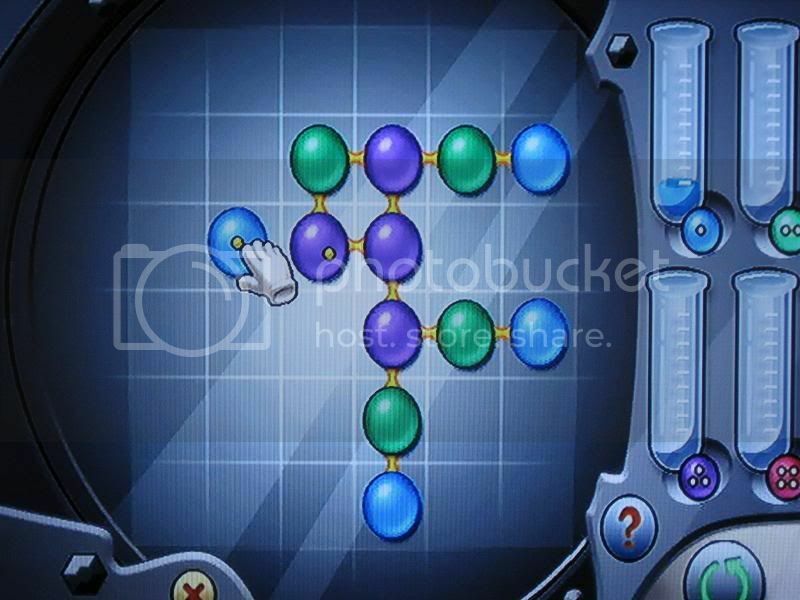 Players also have to solve puzzles, assemble molecules and figure out engineering problems. The game also provides some cute little activities not relevant to the cases. My son occasionally spends half an hour sending his agent into the hot tub in a snow suit, practicing somersaults dressed as a ninja or repainting the walls of his agent head quarters (it is a MySims game after all). The only negative remarks I found for this game online were that a serious gamer can complete all cases in 15 hours. So yes, this is a quick and not incredibly challenging game for an adult. But for kids it is just perfect. My son has spend 30 hours there right now and is barely half way through. He is in no rush and enjoys climbing up the crane every time he passes by. For anyone still able to stop and watch the roses, this is just right. "What comes to mind when you think "Philadelphia" and "Architecture"? Stainless steel and glass, high rises, the Comcast Center, maybe even Boathouse Row? What probably does not come to mind, however, are the hidden gems of Back-to-the-Roots architecture at 515 Painter Road in Media, just 17 miles West of Philadelphia ..."
Evel: "Mom, what does Milky Way mean? I don't mean the candy, but the real Milky Way." Me: "The Milky Way is our galaxy. It's lots of star all swirling together." Evel: "Can we see them?" Me: "Yes, they are right up there in the sky." Me: "No here, just look up and you see ... oh, you don't see anything, actually ... uh ..."
Evel: "Wow, I think I see 40 stars, maybe even 50!" And that was true. We live so close to metropolitan Philadelphia, that the sky lights up at night and it is barely possible to see the brightest constellations. You CAN count the start we can see at night. So on Black Friday we set out to experience Black Friday the way it was 30,000 years ago - completely dark. 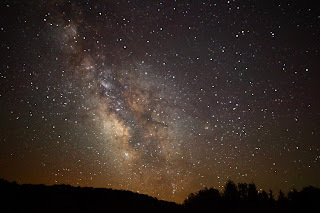 As luck would have it, Cherry Spring Park, PA, a gold-rated International Dark Sky Park is almost in our backyard (okay, big backyard). The idea is simple - a dark sky park is a place so far removed from light pollutants, that we can see the sky the way it is meant to be. With stars in it. Lots of stars. So we packed some beach chairs, bundled the kids into snow suits (it was November after all) and spend an evening looking at the sky. They watched in awed silence for over 15 minutes. As parents you know that with a 6, 4 and 2 year old the only other methods to achieve that are pizza or coma. Next summer we plan to use the camping ground on the other side of the park, so we don't even have to leave our beds to see the sky. And a telescope is on top of my wish list now. Print a star chart customized to your expected day of visit before hand, and practice locating major constellations before hand. Once at the park, you don't want to take out a flashlight and destroy your night vision. It takes up to 10 minutes to get it back. If you can't wait to make a dark sky trip of your own, watch this Mauna Kea timelaps in the meantime.